Let's see what those numbers can tell us about how expensive or cheap AES (NYS: AES) might be. 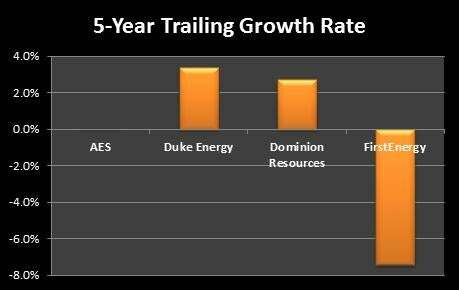 AES has a negative P/E ratio and an EV/FCF ratio of 17.3 over the trailing 12 months. 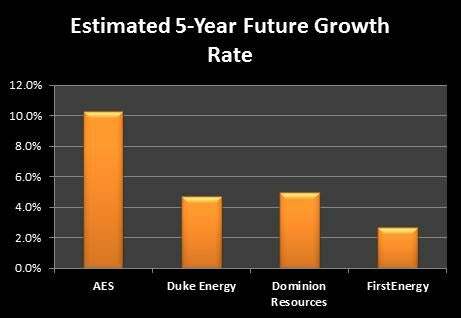 If we stretch and compare current valuations to the five-year averages for earnings and free cash flow, AES has a P/E ratio of 22.8 and a five-year EV/FCF ratio of 26.5. A positive one-year ratio under 10 for both metrics is ideal (at least in my opinion). For a five-year metric, under 20 is ideal. AES is zero for four on hitting the ideal targets, but let's see how it compares against some competitors and industry-mates. Source: S&P Capital IQ. NM = not meaningful due to losses. We should note that free cash flow numbers for utilities aren't as useful as those in other industries because of regulations that boost the value proposition of capital projects. 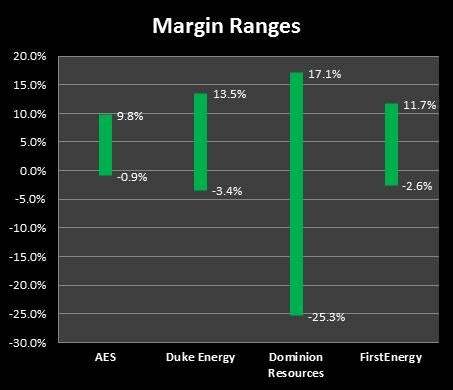 In the past five years, AES' net income margin has ranged from -0.9% to 8%. In that same time frame, unlevered free cash flow margin has ranged from 3.5% to 9.8%. Additionally, over the last five years, AES has tallied up three years of positive earnings and five years of positive free cash flow. Analysts tend to comically overstate their five-year growth estimates. If you accept them at face value, you willoverpay for stocks. But while you should definitely take the analysts' prognostications with a grain of salt, they can still provide a useful starting point when compared to similar numbers from a company's closest rivals. The pile of numbers we've plowed through has shown us the price multiples shares of AES are trading at, the volatility of its operational performance, and what kind of growth profile it has -- both on an absolute and a relative basis. The more consistent a company's performance has been and the more growth we can expect, the more we should be willing to pay. We've gone well beyond looking at a negative P/E ratio and we see that on a longer-term basis, AES has a moderate 22.8 five-year P/E ratio. Looking beyond these initial numbers, we see no dividends (a fan favorite of utilities investors) but a four-star CAPS rating (out of five). If you find AES' numbers or story compelling, don't stop. Continue your due diligence process until you're confident one way or the other. As a start, add it to My Watchlist to find all of our Foolish analysis. I wrote about a stock that's flying under the radar in our brand-new free report: "The Stocks Only the Smartest Investors Are Buying." I invite you to take a free copy to find out the name of the company I believe Warren Buffett would be interested in if he could still invest in small companies. At the time this article was published Anand Chokkavelu doesn't own shares in any company mentioned. Motley Fool newsletter services have recommended buying shares of Dominion Resources. Try any of our Foolish newsletter services free for 30 days. We Fools may not all hold the same opinions, but we all believe that considering a diverse range of insights makes us better investors. The Motley Fool has a disclosure policy.